Q. How do I view new e-resources that have been added to the Library's collection? (1) Got to our Library Portal. 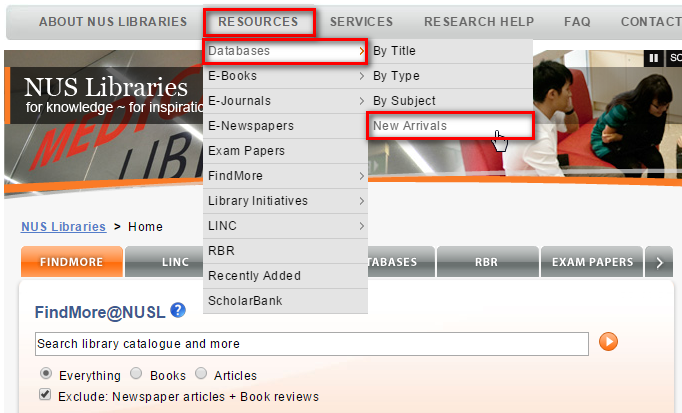 (2) Mouse over Resources at the top navigation menu and select either Database, E-Books or E-Journals, followed by New Arrivals. 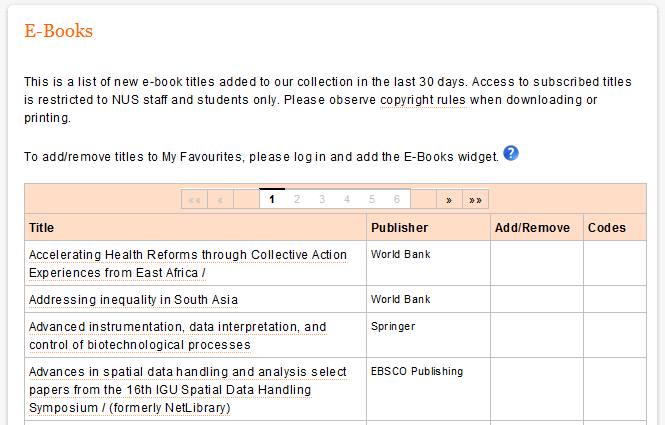 (3) You will then see a list of e-resources (either databases, e-journals or e-books, depending on your initial selection) that have been added to the library's collection in the last 30 days.